Poland has an abundance of lakes and coastline to enjoy motor boating or sailing the best known and most visited being the Masurian Lakes Plateau which has over 4000 lakes in the area, linked by rivers and canals to form an intricate system of waterways. For expert information and advice about buying or selling boats and yachts in Poland contact one of our experienced advisers who will be happy to assist you. 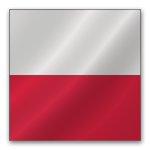 Below is the current list of boats for sale in Poland that are available to our network. The Sunreef Supreme Range embodies a very specific philosophy of yacht creation. Sunreef 50 will be delivered in April 2019.